I was at Barnes and Nobles bookstore in Edmond Oklahoma today, and walked right past a huge section of books I hadn't taken notice of before. It's call the "Teen Paranormal Romance Section" and it takes up about 20 yards of shelf space. Teen Paranormal Romance? I thought, "What is Teen Paranormal Romance?" Well, it stands to reason the Twilight Series has had an incredible impact on the reading habits of today's teens. 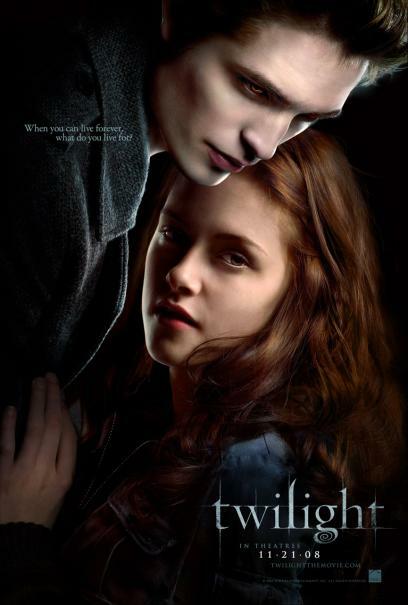 Teenage girls have been found screaming over whether they are more in favor of an "Edward" type of boyfriend (the vampire) or a "Jacob" type of boyfriend (the wear wolf). Interestingly enough, both types of romances lead teenage girls into an un-attainable expectation as they compare the plights of the twilight stories with boys they interact with day to day. The fantasy of a vampire or wearwolf boyfriend has now carried over into a bookshelf full of supernatural, and I wonder why? I think it's always been this way, but the supernatural sensation is definitely a play into how teenagers see the world. From the Terminator series to the Avatar phenomenon, we've always wanted the ability to do things outside the normal natural way we do life. We all used to think we were super heroes longing for supernatural powers. For some reason, the paranormal sensational story has taken over the way we read fantasy today. I've long wondered how we are wired to see the Supernatural. Several places in the Bible we can see the creation story sourced in the supernatural. It's almost as if we were created to look for and understand the supernatural in our natural being. Of course the Atheist will say there is no supernatural, but that would mean 98% of the world's population is delusional in thinking there is some sort of supernatural being we need to connect to. I think the modern Paranormal Fiction books allow for our natural beings to find meaning inside of fantasy. Whatever the reason, it's quite interesting to think the bookshelf of Barnes and Noble has been expanded by the teenage view of romance. What do you think? Previous Has Martin Luther King Jr. Become Savior for Millenial Evangelicals? Next DefCon 3, An Expose of Teen Nation! I fully agree. Twilight and other books, including stories that we tell children (Cinderella, Sleeping Beauty, etc…), all center around a “prince charming.” We are, and have been for years, teaching children that there is a happily-ever-after after you find your prince. Unfortunately, we are painting an unattainable picture for what life really is. Enjoyed the post.